BERLIN (Bloomberg) -- Volkswagen AG said it’s in talks with a Robert Bosch GmbH and Samsung SDI Co. joint venture and LG Chem Ltd. as Europe’s biggest carmaker is broadening the search for suppliers of electric-car batteries. “We want to keep our options open and see how the different battery systems are developing,” Ulrich Hackenberg, head of Volkswagen brand development, said in an interview. He declined to specify when an accord with SB LiMotive Co. and LG Chem, the biggest South Korean chemical maker, will be signed. “Mass-produced battery cells won’t be deliverable until about one or two years from now,” Hackenberg said. Volkswagen is cooperating with “several” manufacturers of rechargeable batteries including BYD Co., the Chinese carmaker backed by billionaire Warren Buffett; Japan-based Sanyo Electric Co.; and Toshiba Corp., Hackenberg said, noting the Japanese suppliers “are still a step ahead” of BYD. 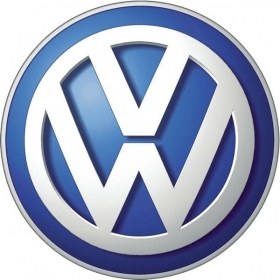 VW wants to start building battery-powered cars in China as soon as 2013 and said yesterday it will spend another 1.6 billion euros ($2.1 billion) on models and two new facilities in China, increasing total investments in the world’s biggest auto market to 6 billion euros. The carmaker may extend its cooperation on battery development with BYD “in the foreseeable future,” Hackenberg said, adding that the companies are having “intense exchanges” based on VW’s testing of BYD battery prototypes. Daimler AG’s cooperation with Shenzhen-based BYD poses “no danger” to Volkswagen’s leading position in China, Hackenberg said. The world’s second-biggest maker of luxury vehicles said last month it will develop an electric car with BYD for Chinese customers and aims to launch the model by 2013.